P D James's second Adam Dalgliesh mystery was published in 1963 and so is on the 1963 list for My Big Fat Reading Project. Only three weeks earlier I had read Sylvia Plath's The Bell Jar, making it a bit of a shock (pun intended) to open A Mind to Murder and find it set in a London psychiatric clinic. In between the electric shock and LSD treatments as well as psychiatric "talk therapy" sessions, the administrator of the clinic is murdered in the basement amid a confusion of scattered patient files. 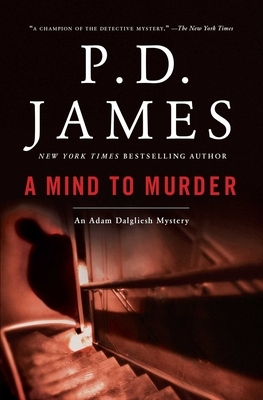 This reader's personal tastes were confirmed: P D James is hands down a superior mystery writer to Agatha Christie. (I know there are many readers who would not agree with me, but it is what it is.) Right out of the gate she sets up the rivalries and tension between the various therapists, the nurses and secretaries, and the victim. Miss Bolam had been nearly universally disliked by all the staff, giving Inspector Dalgliesh a knotty problem as he tried to single out the suspects. Every doctor had an alibi while the rest had some issue with their boss. As the investigation proceeds, Ms James also writes scenes with the various characters interacting while not in the Inspector's presence. Quite soon the reader comes to know all these people and what is going on in their personal lives. I felt like I was doing my own work to figure out who done it and that made the reading even more enjoyable. In the end however, it was Inspector Dalgliesh who found the correct line of criminal activity to follow and solved the crime in an intense series of time sensitive incidents. My only complaint was that I could not figure out what led him to follow up that particular line of inquiry and suddenly felt left out of the story where previously I had thought I was part of it. A breach of patient confidentiality was the initial cause of events leading to the murder. That issue as well as the conflicts of opinion among the doctors about various approaches to treating mental illness, made the story resonate with current times even though it was written over 60 years ago. The first P D James novel I read was Children of Men and I was struck by her intelligence, her insight into her characters, and her sense of social consciousness. Now that I have gone back to read her earlier books I am hooked and look forward to more of them. Sometimes a book, or in this case a trilogy of books, is so personally relevant to me that I am almost overwhelmed with wonder. Then it becomes difficult to write about it in a way that I feel alright about sharing with others. I will do my best here. The Plague Diaries is the last in Ronlyn Domingue's Keeper of Tales Trilogy, in which she ties together all the aspects found in the first two books and takes her tale to a conclusion so satisfying, so appropriate to what has gone before. I think she must possess many of the gifts she injects into her characters. The three books can only be categorized as fantasy but they contain an awareness that goes beyond fantasy, that borders on an enlightened spirituality and especially an understanding of womanhood not often found in many of the books I read. In the first volume, The Mapmaker's War, Domingue builds her worlds around Aoife, the first and only female mapmaker in the Kingdom. While journeying to chart the entire domain she slips through a thin place to find an almost mythical people who have created a way to live in peace. Her discovery unleashes a terrible outcome and she is exiled. The Chronicle of Secret Riven, second book in the series, takes place 1000 years later and introduces Secret Riven, born of a strange and emotionally distant mother, mute until the age of seven, and possessed of her own gifts. The story follows Secret through her first 18 years as she learns to deal with the joys and horrors of her gifts. The Plague Diaries opens as Secret comes of age. She has lost her tormented mother but inherited an ancient manuscript written by the mapmaker Aoife. In fact, her mother's attempts to translate it led to her death. Though Secret has suppressed the burdens of her gifts and tries to become a somewhat normal young woman, she is thrown into that other world discovered by Aoife. Along with another young person of indeterminate gender, a person even more gifted than herself, Secret becomes party to a transformation taking place in the Kingdom. The medium of change is the predicted Plague of Silences alluded to in the earlier books. If you are someone who has pondered the possibilities of peace in the world, of an end to war and violence and greed, the transformation brought about by that plague will be right in your wheelhouse, as they say these days. Very much key to the entire three-part story is the role of women. I do not read much fantasy. I have never read any of the George R R Martin books for example. The fantasy I have read and enjoyed are books by Ursula Le Guin, Marion Zimmer Bradley, Philip Pullman, China Mieville, etc. What these authors have in common falls into a genre called Slip Stream, where different worlds run along side by side and where the seemingly unsolvable dilemmas of human existence are viewed with an eye toward solving them. Ronlyn Domingue fits into that domain. A reader could pick up The Plague Diaries without having read the earlier two volumes of the trilogy and find a full and understandable story. To completely experience the richness and underlying wisdom I recommend reading each one in order. If this is your type of story, you will be rewarded beyond anything you could imagine. It has been a while since I read Margaret George. I have read three of her earlier historical novels and found them a highly palatable way of learning old, old history. (Mary, Queen of Scotland and the Isles, The Memoirs of Cleopatra, and The Autobiography of Henry VIII.) She likes to dig deep and correct historical misperceptions about these larger-than-life characters who left indelible effects on history. She attempts to do the same for Nero, a later emperor of the Roman Empire, best known for fiddling while Rome burned. This volume will have a sequel as it covers only the first half of Nero's life, ending with the fire that left Rome a heap of cinders. Nero was descended from Julius Caesar due to a circuitous family tree that owed much to famous murders and remarriages in the tumultuous ways of empire and power. It opens with an instance of Caligula trying to drown Nero when he was only six and follows his childhood as his ambitious and lethal mother employs a renowned poisoner to do away with anyone who stands in the way of her son becoming Emperor. She succeeds in placing him as such when he is only sixteen. Nero continues in her tradition, eventually having his own mother murdered! It is a bloody tale in which Margaret George tries to show how a young man who loves chariot racing and the arts embraces the role of power while trying to bring culture to a decadent Rome. She is a smooth writer, foregoing long sentences and using only enough description to bring the times and locales to life. However, this time I felt a bit disappointed in an almost too simplistic rendering of a complex man. She certainly makes Nero a sympathetic character, as she did with Mary, Cleopatra, and Henry, but in those earlier books she somehow did a better job (at least in my recollection) of bringing the full personality of those rulers to life. I cried when Mary, Queen of Scots died. I wished I could have met Cleopatra. I almost forgave Henry VIII for killing so many wives. Perhaps part of the problem was that Nero's worst deeds are still ahead of him and I will feel more satisfied when I read the sequel. I read this for a reading group and all the other members loved it. I don't argue that she makes history easy to assimilate and does her research with competence. It could be that Hilary Mantel's Wolf Hall trilogy (still waiting for that third volume coming out next year) spoiled me for this kind of historical writing. Summary from Goodreads: The Ministry of Utmost Happiness takes us on an intimate journey of many years across the Indian subcontinent - from the cramped neighborhoods of Old Delhi and the roads of the new city to the mountains and valleys of Kashmir and beyond, where war is peace and peace is war. It is an aching love story and a decisive remonstration, a story told in a whisper, in a shout, through unsentimental tears and sometimes with a bitter laugh. Each of its characters is indelibly, tenderly rendered. Its heroes are people who have been broken by the world they live in and then rescued, patched together by acts of love - and by hope. The tale begins with Anjum - who used to be Aftab - unrolling a threadbare Persian carpet in a city graveyard she calls home. We encounter the odd, unforgettable Tilo and the men who loved her - including Musa, sweetheart and ex-sweetheart, lover and ex-lover; their fates are as entwined as their arms used to be and always will be. We meet Tilo's landlord, a former suitor, now an intelligence officer posted to Kabul. And then we meet the two Miss Jebeens: the first a child born in Srinagar and buried in its overcrowded Martyrs' Graveyard; the second found at midnight, abandoned on a concrete sidewalk in the heart of New Delhi. I was so eager to read this novel and the waiting list at the library was so long. In a fit of splurging on books I bought the hardcover. Arundhati Roy is not an American writer and her two novels are nothing like American mainstream fiction. Nothing like them except for the exceptional power of her storytelling. I am not going to talk about the plot or the characters. Read the summary if you want that. You still won't have any clue about why her new novel is so wonderful or even what it is really about. My impression is it is about people whose lives and hearts get broken by the various upheavals that seem to go on forever in India. Here we sit in America moaning and groaning about our President, the state of our politics and our divided nation, but really we have no idea how lucky we are. Much of the story takes place in a graveyard. The rest takes place in Kashmir where war is a continuous fact of life. Actually you could say that the Indian government and the Kashmiri rebels and the feuding Hindus and Muslims are all doing their best to turn Kashmir into a graveyard. A graveyard is an appropriate image for our times as the human race does its utmost to render our entire planet into one. But what beats through this somewhat challenging novel is love in just about every configuration possible. I think that is Arundhati Roy's particular strength. Whether she is writing novels or political essays, it is the passions of individual humans that she delineates. Isn't it true, she seems to say, that our politics is another version of the passions that drive existence? So far in my quest to read a biography of each President who held office during my lifetime, I have covered Truman, Eisenhower, and Kennedy. I have been mostly content with the biographers I chose but Robert A Caro tops them all. He even managed to keep me interested for at least 80% of the time. Reading presidential biographies feels a lot like being in school, except that most of the American history I studied in school was deeply slanted towards the sentiments that all of our Presidents were awesome dudes and America is the most democratic country in the world. Reading these carefully researched books has given me the education about my country I need to be a confident and wise citizen and voter. The Path to Power only covers Johnson's first 36 years from his birth to his election to the House of Representatives to his first failed campaign for the Senate. He was born in the Texas Hill Country, an impoverished farming area. His father had been a well-loved member of the Texas House of Representatives but later fell into debt and alcoholism. It was at his father's side as a child that Lyndon became fired up about politics, but where his father wanted to serve his constituents, Lyndon was in it purely for the power, the attention, and therefore the votes. Caro portrays him as a fairly disreputable character with a genius for the political game. No morals, no deep love of country, no mission to make America great, though quite a few of his actions did improve the lives of many. What drove him was a burning desire to be somebody and a great capacity for working the game for his personal gain. He was not a good student, he was not admired or even liked in his childhood by anyone but his mother and one cousin, and later Lady Bird. But once he set his sights on a goal of his own choosing he was tireless. His goal was to be President of the United States. This volume covers the years when he began to build the connections that would take him to that goal. Because he would do anything to win, he often did and thus eventually gathered around him several slavish and devoted admirers who would do anything for him. I have always viewed politics as a dirty game with the occasional bright star I could respect. The book did nothing to disabuse me of that notion. Johnson learned all the tricks and invented some of his own. In a time when due to the Depression, campaign spending was fairly low, Johnson managed to work his way into the confidence and gratitude of men with money and spent more than any candidate for public office had, at least in Texas. He was not above stealing votes, stuffing the ballot box and later buying votes. I could go on and on but if you want to learn about the state of the union from 1920 to 1944, just buckle down and read the book. It is an eye-opener. Because I started my project with Truman, I didn't know much about Franklin D Roosevelt, President from 1933 to 1945. I know more now. I also got a pretty good history of Texas from the years before LBJ's birth up to WWII. If I didn't know better from reading those other biographies, I would have finished the book thinking that Texas single-handedly invented dirty politics. Ahead of me are three more volumes to read about this man (and possibly four since Caro is writing the final volume as I write this review.) This kind of reading takes longer to get through than reading novels. I read this one for over two months, averaging 20 pages a day while reading 24 novels in between. It has enlightened me a great deal as to how the world of government and politics works. I am less upset about our current administration than I had been before I read it. My country has had truly awful Presidents before; dishonest, ignorant, unstable human beings who nevertheless were elected into office. Somehow our system of government survives and the country powers on. Plato was right however. A republic cannot stand when the populace is uneducated, when the franchise is not universal, and when money/business/finance is the main engine behind the government. The least I can do is get educated and vote. I admit that I had reservations about reading this novel which is based on the author's own experience with mental illness. I put off reading it for years. Odd, because I have read other novels and memoirs featuring people who descend into madness and actually liked them. I think because we all know that Sylvia Plath committed suicide just one month after The Bell Jar was published, I was concerned about what I would find. What I found was some of the more wonderful writing I have read. Poetic imagery, wry humor and pithy observations enough to make me wish I had known her. I did find mental anguish but not a victim mentality or even narcissism, just a sense of bewilderment about what had happened to Esther Greenwood, the autobiographical stand-in for Sylvia. Most telling though was her fear of the future once she was released from the asylum. "I had hoped, at my departure, I would feel sure and knowledgeable about everything that lay ahead--after all, I had been 'analyzed.' Instead, all I could see were question marks." Because the timescape is mid 1950s, one is given a patients-eye-view of the barbaric treatments of those times (shock treatment, insulin shock, and the sexism from male practitioners.) Now we have all these designer drugs for every mood and diagnosis. The fact that these drugs are also attempts to alter the mind and personality does not fill me with much more confidence however. I am not up-to-date on the current statistics as far as saving lives goes with the drugs, but I am up-to-date on some of their failures. The final section of the edition I read is A Biographical Note by Lois Ames (at one time contracted by the family to be the official biographer.) That was the saddest part by far. It depicts a gifted and determined woman who struggled to overcome her demons but in the end succumbed within eight years of having been pronounced "cured." Well, I have read it now. I am no longer afraid of the book but I am just as certain as I have always been that there is much more understanding of the human mind needed to help those who are afflicted with mental illness. This was a perfectly entertaining read for a hot summer day. I finished it in two sittings. With a bit of romance, a mystery, and a quirky single mom who was just right for my tastes, it took me away from all the heavy issues of our current times. Most of the story takes place in a British seaside town. Alice Lake, whose free-wheeling lifestyle has left her with three children all from different fathers, creates art out of old maps to support her family. She also collects people who seem to need her, despite the concerns of her best friend. When she finds a man on the beach one morning who has no idea who he is or how he got there, she takes him in. Over two decades earlier, in the same town, a young girl was lost at sea while her father died trying to rescue her. As the amnesiac staying with Alice begins to recover some memories, it appears he could be connected to that unsolved drowning. Though I did think I had figured out who he was before it was fully revealed, I remained in doubt until the very end because the clues could have led to another man, also gone missing. Now that is a good mystery if you ask me. I had never heard of this author until my Bookie Babes reading group picked the book. Lisa Jewell has been writing popular romantic and mystery fiction since 1999! Fourteen of them, with a new one, Then She Was Gone, coming next spring. I have found a new author to turn to for light reading. I reread this apocalyptic novel for one of my reading groups. I forgot how bleak it is. It makes The Handmaid's Tale seem benign in comparison. I am glad I reread it though because 12 years have passed since my first reading and I got a new perspective on how much more the world has moved toward the concepts that Orwell harps on as to the ways that personal freedom can be eroded and taken away from citizens. "Total War" "Newspeak" "Big Brother Is Watching You" The rewriting of history, the alteration of definitions of words, the deletion of words entirely from a nation's vocabulary. If one is aware of these things one can spot them as they happen. Though our political system is far from perfect, it does have checks and balances that still work. Though our media and journalism contains seeds of all those above mentioned concepts, it is still relatively free. In times like these, the responsibility of being a citizen feels like a crushing burden but what other choice do we have? It is such an oxymoron that freedom is something that must be fought for. Have you read 1984? In school? Recently? If so, what are your thoughts on it? It makes a great book for group discussion. Well, I have been through a disaster incident and survived with only a three day absence from my normal life. Last Friday a fire broke out along the freeway nearest to my home and within hours was a raging brush fire that burned over 4000 acres of brush land in an area that had not had a fire for over 60 years. Amazingly only 4 homes burned down, all in remote regions. No one died. Only 8 were injured. But the fire came within only yards of our house. We were ordered to evacuate on Saturday afternoon and just returned home yesterday, after staying with a friend. Our home was not damaged in any way and by yesterday when we came home the fires at the perimeter were out. Seeing flames raging over a ridge and down a mountainside that close to us was terrifying but now the skies are blue again, the smoke is gone and except for some scorched earth patches, my neighborhood looks like it usually does. In my 25 years of living in the Los Angeles area, I have experienced two earthquakes and one fire close enough to see the flames and smoke but not near enough to endanger my home. I have been so fortunate. There is nothing like going through something like this to give one the sense of what it is actually like for people who experience extreme events. During the four days I read not a page. Fortunately my reading group schedule is light this month though I will not have finished the book for Laura's Group by the time we meet tomorrow. 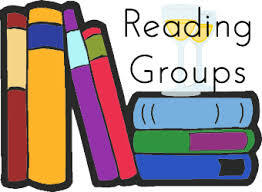 If you are a reading group member, what are you discussing this month? Do you have any suggestions for good books to discuss? While everyone else was watching the eclipse, suffering through Harvey, fighting floods and looking forward to cooler temps in September, we were just hot! Trying to stay cool, hydrated, and keep our gardens alive. We are still hot and thinking about November when it will finally cool down and the leaves will fall. That is life in southern California. 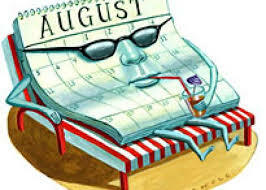 I predicted I would read fewer books in August because of some long ones on the list, but I didn't even get that right. I read 11 which is only two less than my fabulous July accomplishment. Sometimes it is good to be wrong! Stats: 11 books read. 6 written by women. 2 mysteries. 1 dystopia. 1 non-fiction. 1 biography. 1 translated. 5 from My Big Fat Reading Project. What books were your favorite reads in August? Any duds?